3 Acorns Eco-audits, its founder Donnachadh McCarthy and a number of our clients have all been honoured to receive various environmental awards. 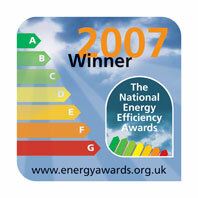 3 Acorns Retro Eco-house won the award for the greenest household in London. 3 Acorns Eco Audits customer Elizabeth Greenwood won both the Green Household Category Award and also a Bromley Borough Council green citizen award for the work she carried out on her home installing solar panels and rain-harvesting equipment, following a home eco-audit from 3Acorns Eco-audits. 3 Acorns Eco-audits founder Donnachadh McCarthy was awarded the prestigious fellowship of the RSA in 2008 in recognition of his contribution to helping protect the environment at a national level. 3 Acorns Eco-audits were the winners of the Community and Voluntary Action Category for the Greening the Third Sector project it is carrying out for the City Bridge Trust. 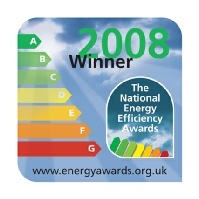 3 Acorns Eco-audits were the winners of the Construction and Renovation Category of the National Energy Efficiency Awards for its work on the 3 Acorns Retro Eco-House, London's first carbon negative home. 3 Acorns Eco-Audits' client City Bridge Trust won a gold Green Apple Award for their Greening The Third Sector project, which provides free eco-audits to participating non-environmental charities.